This special is ideal if your car needs quite a bit of work done. Essentially, with this coupon, the more you spend at our service center, the more you save. If you spend between $50 and $100, we’ll take $15 off your final bill. If you spend between $101 and $250, you’ll save $25. And if you spend over $251, we’ll knock off $50. A worn out timing built is one of the worst things for your engine. Unfortunately, timing belt replacements can be pretty pricey. However, if you get your timing belt replaced at Benson Honda before the end of the month, you’ll save $100 with this special. Are your brakes acting up or making noise? 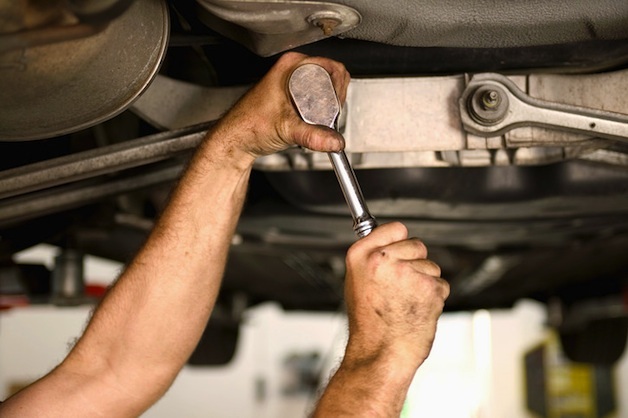 We’ll get them back in good, working order for you with our brake service, which includes brake pad replacement, rotor resurfacing, and topping off of brake fluid. Oh, and did we mention you can save $25 on this service until the end of the month? Need a deluxe oil change that includes a new genuine Honda oil filter, new drain plug gasket, and a tire balance and rotation? Consider taking advantage of our maintenance service special, which offers all of these things for just $49.95. Ready to save with one of these specials? Print off your service coupons from Benson Honda! If you can’t take advantage of these specials before the end of the month, don’t worry. Check our service coupons page often. We’re always adding new coupons! Swayed by all the awesome things the 2014 Honda Civic brings to the table? Reach out to us at Benson Honda, and we’ll show you all of the available trim levels at our dealership!